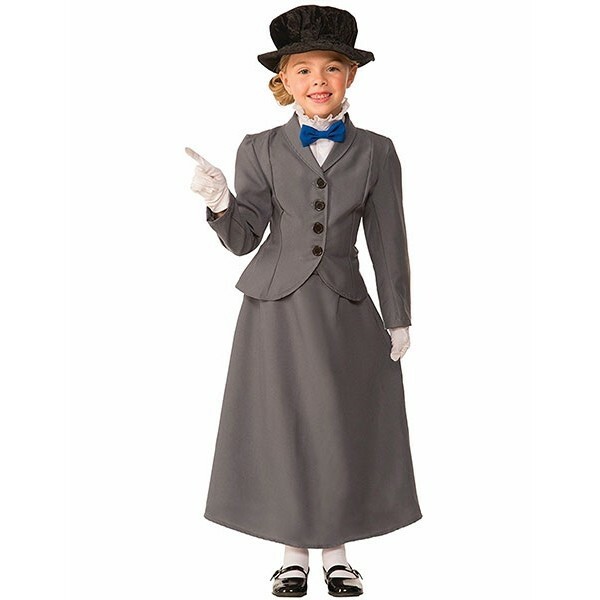 She'll feel like the real Mary Poppins in this British nanny costume from Forum Novelties! Perfect for dress-up, stage performances, or Halloween, this high-quality costume is easy to wear and perfect to play the part. 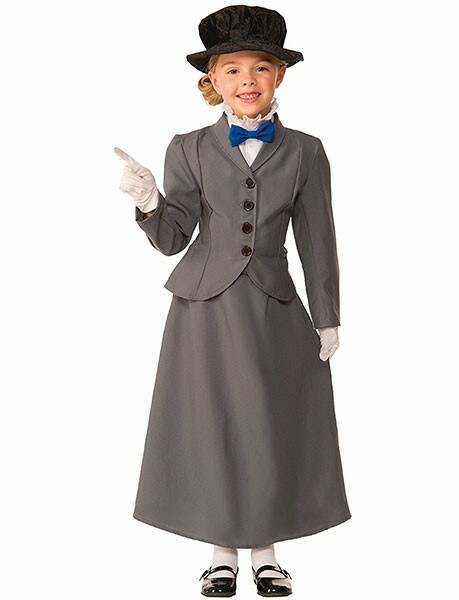 This costume set comes with a hat, a jacket, a shirt front with and attached bowtie, and a skirt. Please note: gloves, socks, and shoes not included.